These make a perfect dog gift as a holiday or Christmas Bouvier ornament with the cute gold string. You can hang it from your car mirror as a dog figure. 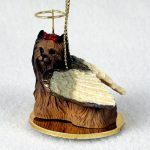 You can remove the string and use it as a figurine or even use it as a lamp finial making perfect dog decor for your home. 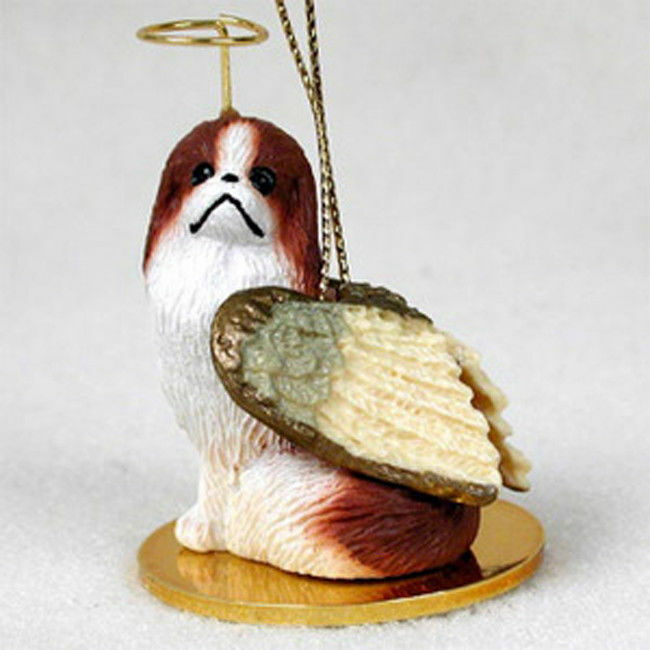 This little guardian dog angel figurine can be used to protect you from day to day. It can also be used as remembrance of your dog. 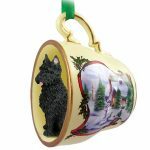 Whether your dog is cute and innocent or rambunctious, this makes a perfect dog gift for any dog lover and has become a favorite dog gift among dog lovers. You can be confident that our Bouvier angel ornaments depict the breed’s characteristics properly. 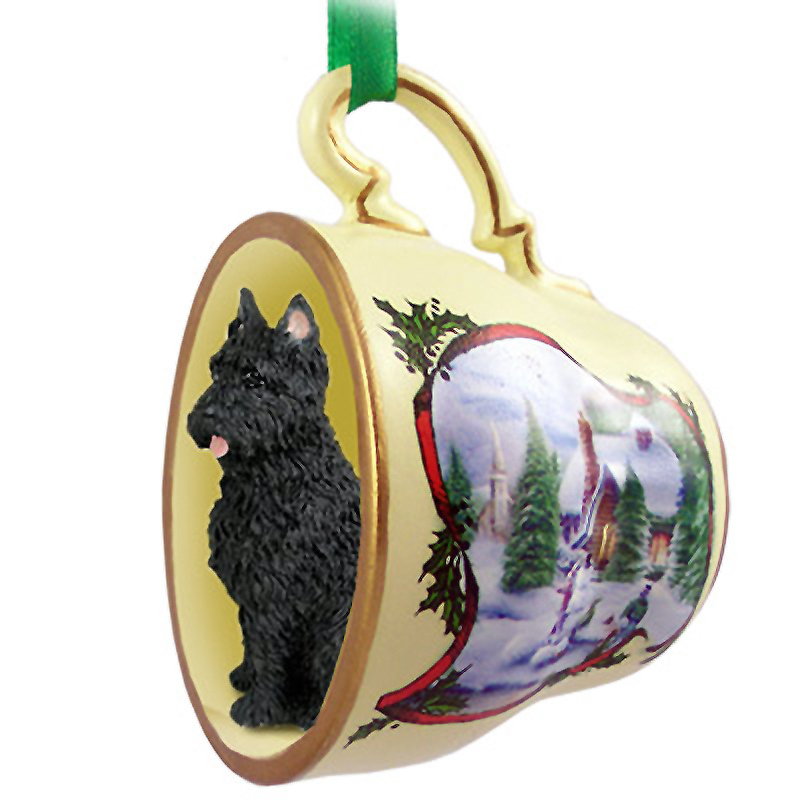 This product is for the cropped version of the Bouvier. This means the ears are up rather than down, which is also known as “natural” ears. 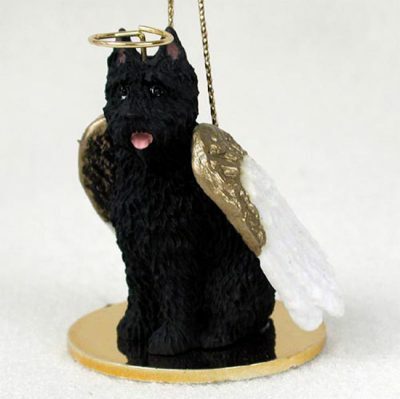 Our Bouvier ornament is entirely black. The only visible exception is the inner ears and tongue, which is pink! 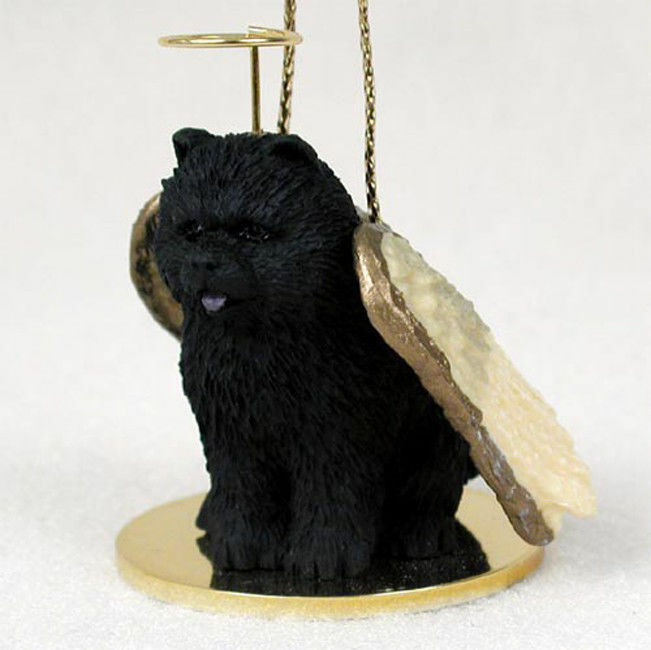 The surface of the figurine is textured to create a medium rough coat that the Bouvier breed possesses. Lastly the Bouvier is displayed in it’s sitting position.